A Symmetric Multi Processing (SMP) platform consists of a single Teradata Database node. An SMP system has multiple CPUs that work together. All applications run under a single operating system on the node. The AMPs and PEs on an SMP system communicate through the BYNET software that handles the message queuing and flow control. A Massively Parallel Processing (MPP) implementation of the Teradata Database consists of multiple SMP nodes that work together. The nodes are connected through the BYNET, a combination of hardware and software that allows the vprocs (PEs and AMPs) to communicate with each other. 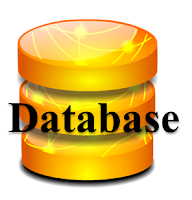 The Teradata Database is a linearly expandable database system because as additional nodes and vprocs are added, the system capacity scales in a linear fashion.